Durably designed for use by elite force, law enforcement and web belt enthusiasts with a modern and cool look. 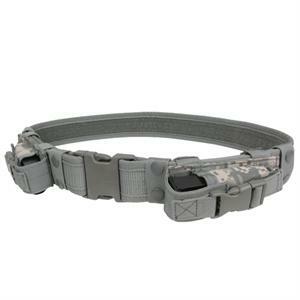 2" wide with flexible and high quality adjustable Quick Release Buckle System. Sewn with reinforced threads and double-edge stitched for extra durability. Two extra modern style horizontal magazine pouches with buckle snap closures.